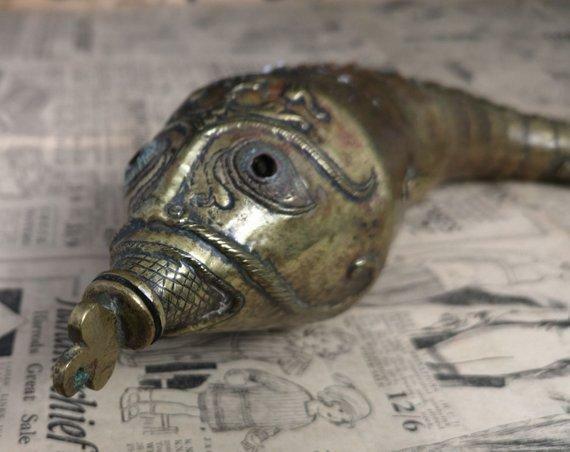 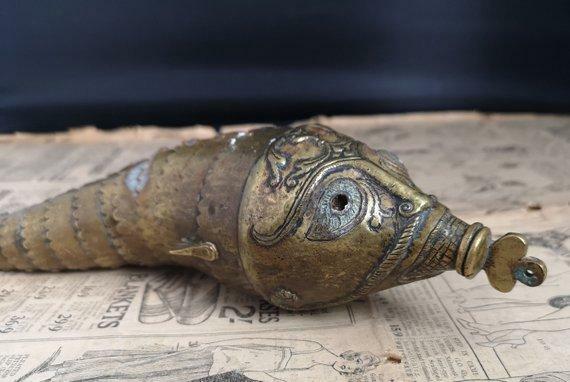 An incredible antique, late 18th century, Indian powder flask. 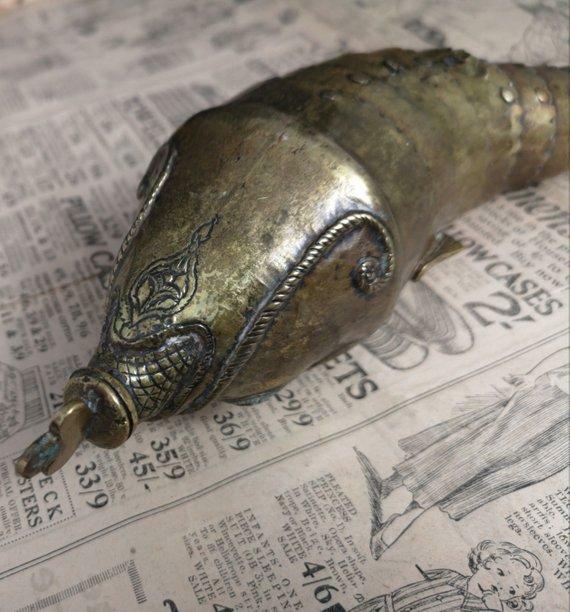 So detailed and the craftsmanship is impeccable, it is a functional work of art and a real testament to the skilled metalwork craftsmen of the Mughal Empire. 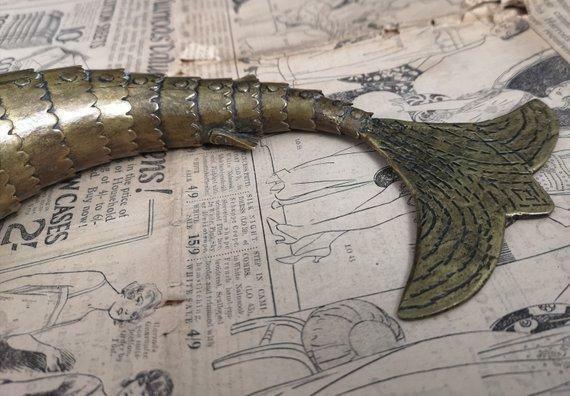 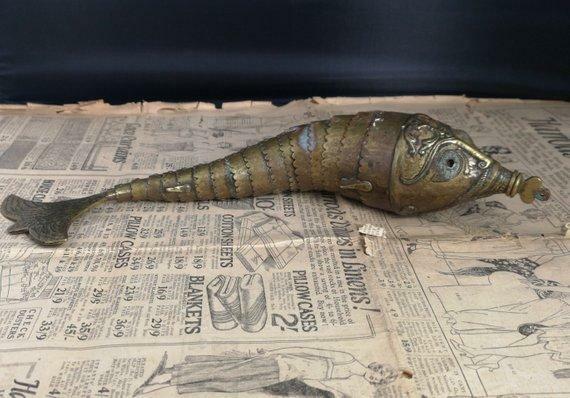 It is made from brass which is patinated with age, articulated body that it gives it such a lifelike aura, the fins are also articulated and formed on the sides as latches. 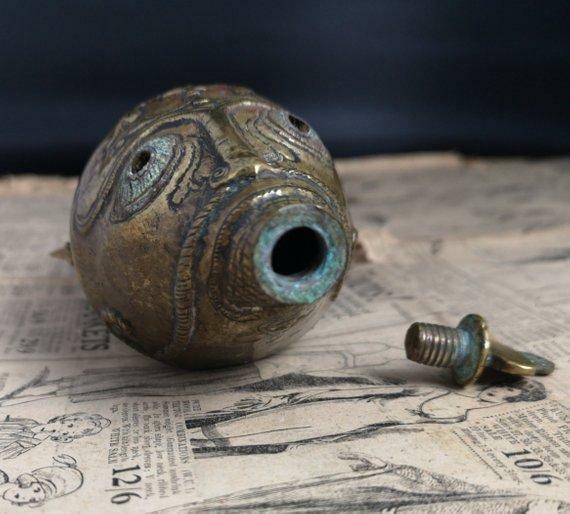 The fishes head is heavily decorated with scroll work, both on the top and underside, the mouth unscrews so that the powder can be canted in and stored. 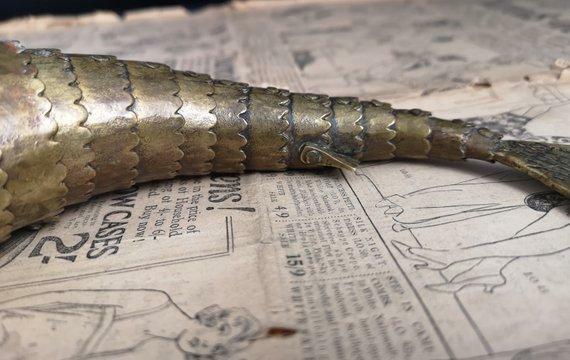 It has a large, heavy, decorative brass tail. 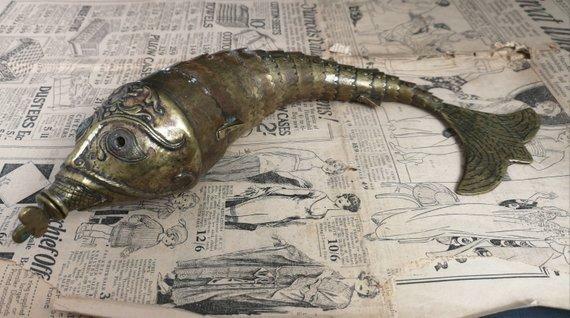 8.5" circumference taken at the widest point.